Stay connected to BRAC University. All alumni are welcome to have a free alumni email address for life created at the University domain alumni.g.bracu.ac.bd. Students, who have received an undergraduate or postgraduate degree from BRAC University, as alumni, are entitled to get an alumni email account. All G Suite alumni accounts are being governed by I.T Systems Office in collaboration with Office of Career Services and Alumni Relations (OCSAR) and Office of the Registrar. 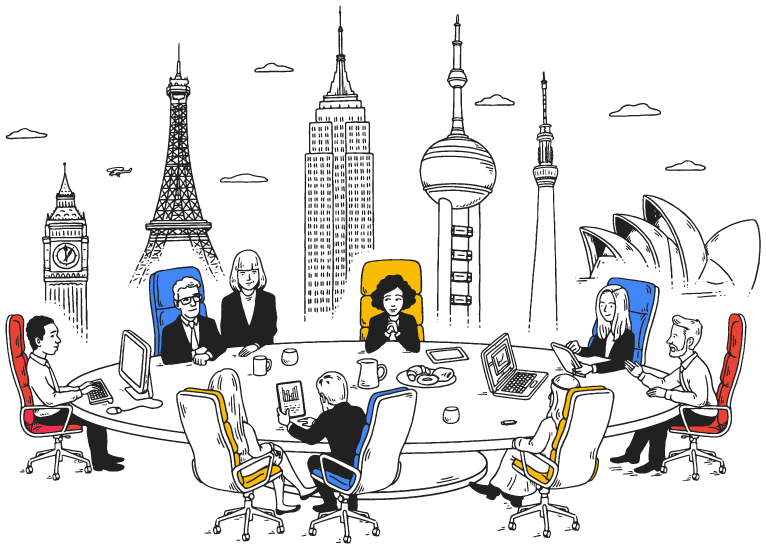 G Suite from Google Cloud is a set of intelligent apps including Gmail, Docs, Drive and Calendar to connect the people within institute, no matter where in the world they are. Your use of the BRAC University G Suite Alumni account is being governed by I.T Systems Office in collaboration with Office of the Registrar and Office of Career Services and Alumni Relations (OCSAR). Please read these terms and conditions carefully before using the University Email Service: By signing this, you acknowledge that you agree to fully comply and abide by the terms and conditions of using the University Email Service. If you do not agree to these terms, you may not use this Service. Gmail's spam protection, powerful search, and integrated calendars help you get more done. For education, there are absolutely no ads. Save work files in Drive, access them from any device and share them instantly. No more sending attachments or merging different versions. You may find Frequently Asked Questions on Alumni Email and G Suite account. How is this different from my personal Google account? Are there any concerns about privacy and data protection when using G Suite for Education? Information about Google Apps privacy and data protection is available at here. Why can't I have name@bracu.ac.bd rather than name@alumni.g.bracu.ac.bd? @bracu.ac.bd is an email address for BRAC University workforce. @alumni.g.bracu.ac.bd indicates a personal email. As a sub domain of ".bracu.ac.bd" it demonstrates a clear affiliation with the University. It is a lifelong address for all alumni of BRAC University. Can I have more than one @alumni.g.bracu.ac.bd email address? No, you can't, users are limited to one @alumni.g.bracu.ac.bd email address at a time. Does my Alumni account expire? 1. Alumni email accounts will remain active as long as mail is read and the account is active. 2. Accounts that have not been used for 180 days will be deactivated and those not used for 270 days will be deleted. Can I set up my @alumni.g.bracu.ac.bd account to forward my emails? Yes. To forward your @alumni.g.bracu.ac.bd account, please follow the instructions on the Gmail help page. Does the @alumni.g.bracu.ac.bd email account have a storage limit? No, there is no storage limit. Can I change my Alumni email address? No. your alumni email address is permanent and cannot be updated once you have registered it. Can I choose my own @alumni.g.bracu.ac.bd email address? Contact to Career Services and Alumni Relations (OCSAR).